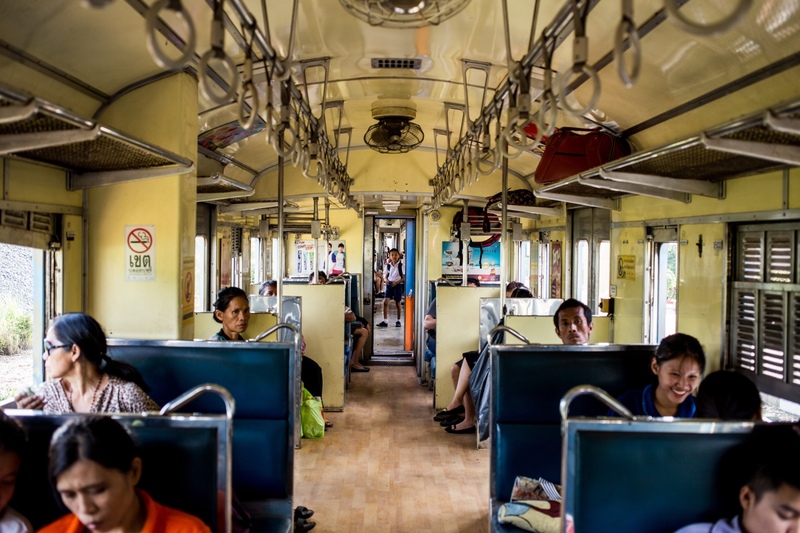 The six hour Bangkok to Aranyaprathet train, which takes you just up to the Cambodian border, is only 48 baht (about $1.40). I recommend it as an easy and affordable way to see the country. 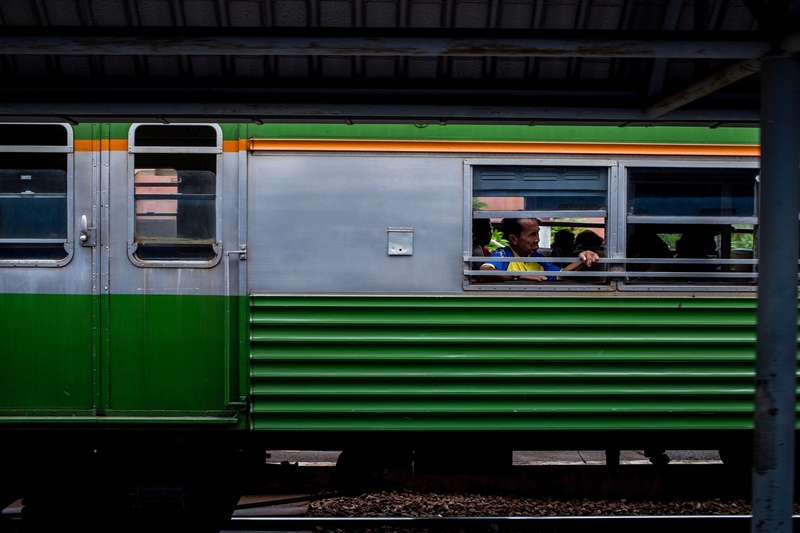 The train leaves every morning and afternoon from Bangkok and schedules are easy to find online. 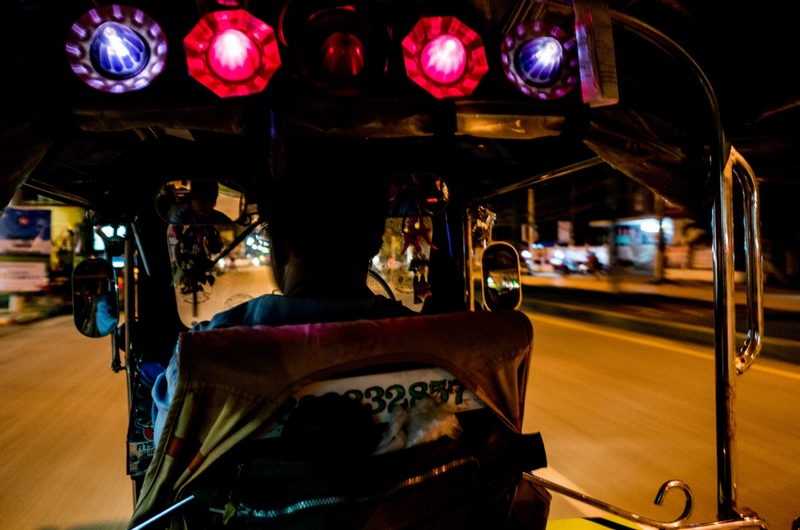 Once arriving in Aranyaprathet a tuktuk offered to help me find a hotel 100 baht (just under $3) and the hotel itself cost 350 bath (about $10). There will likely be less expensive rooms available, but I arrived late enough at night and was tired enough that the $10 was a decent price to rest and use solid wifi for a Skype meeting. In the train station a few nights before departure. Outside of the train. Nicely labelled with removable placards naming the route. 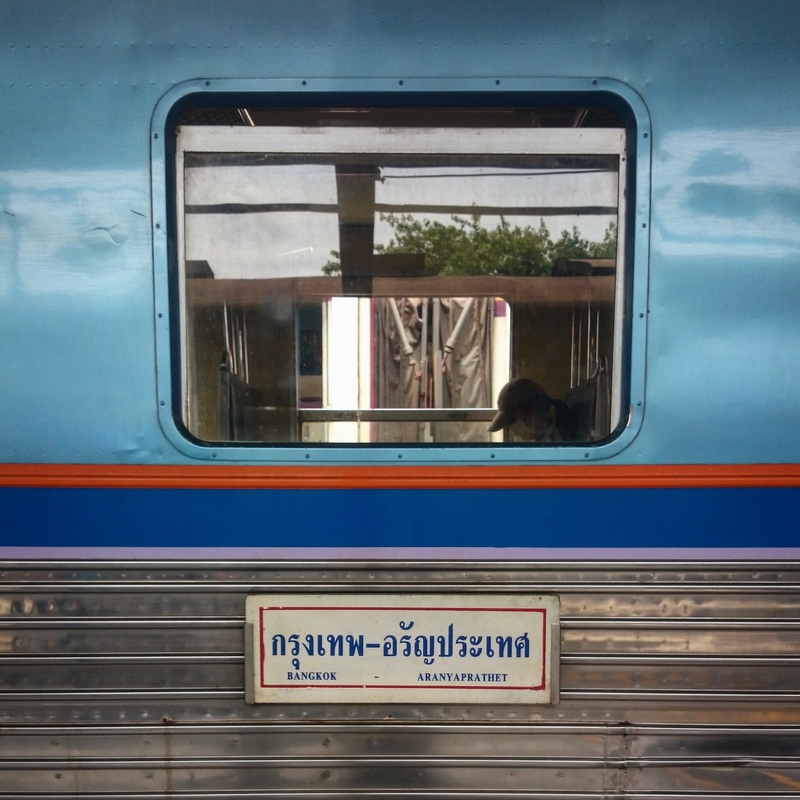 Departing Bangkok by train at one of several rail crossings. 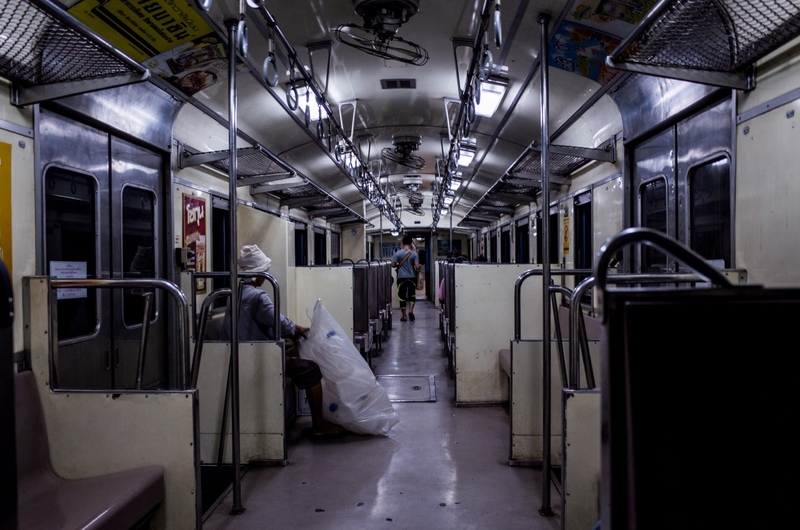 The train is definitely local and for the first few hours passes through small sections of Bangkok carrying local commuters. 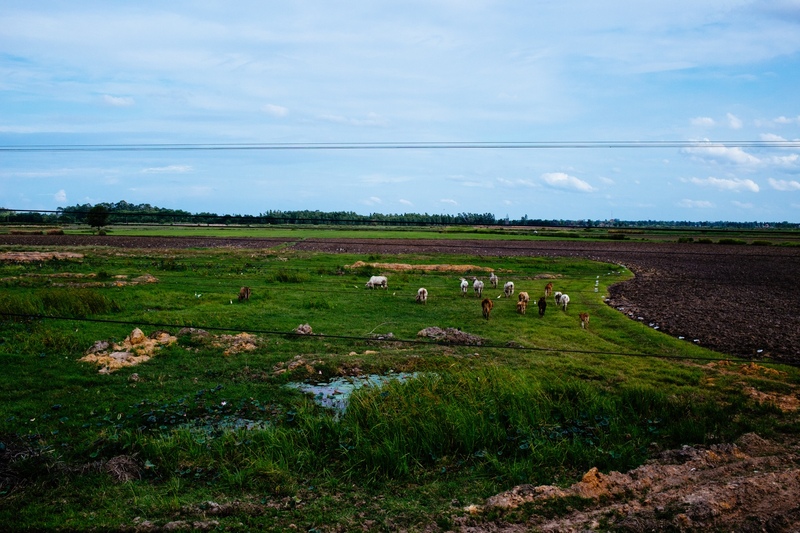 And shortly after leaving the city you’re greeted with green fields and cattle for hundreds of miles. Inside of padded seat cabin (left), inside of non-padded seat cabin (right). 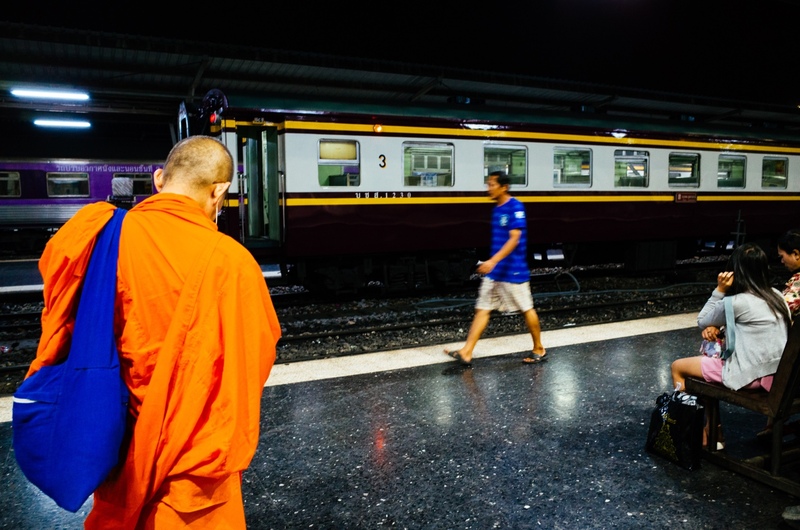 Crossing the border from Thailand to Cambodia by foot. 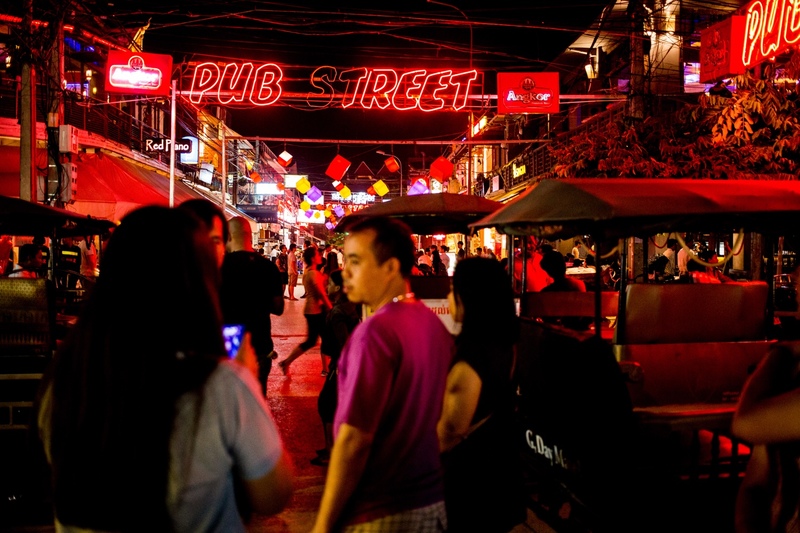 The crowded tourist ghetto of Siem Reap at night. 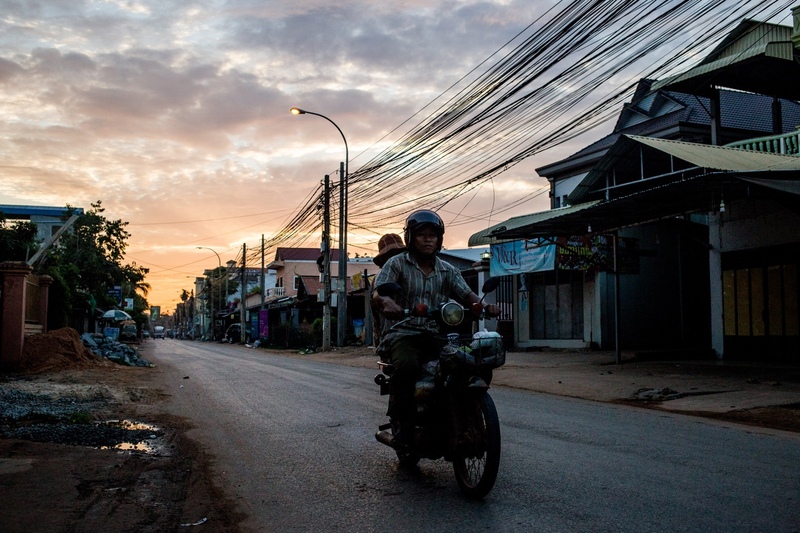 Morning in Siem Reap, Cambodia. 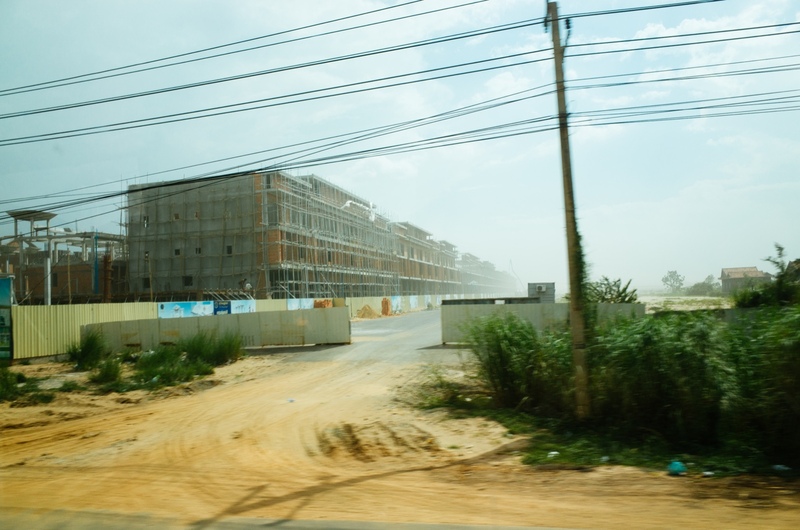 Driving through the dust clouds outside Phnom Penh. 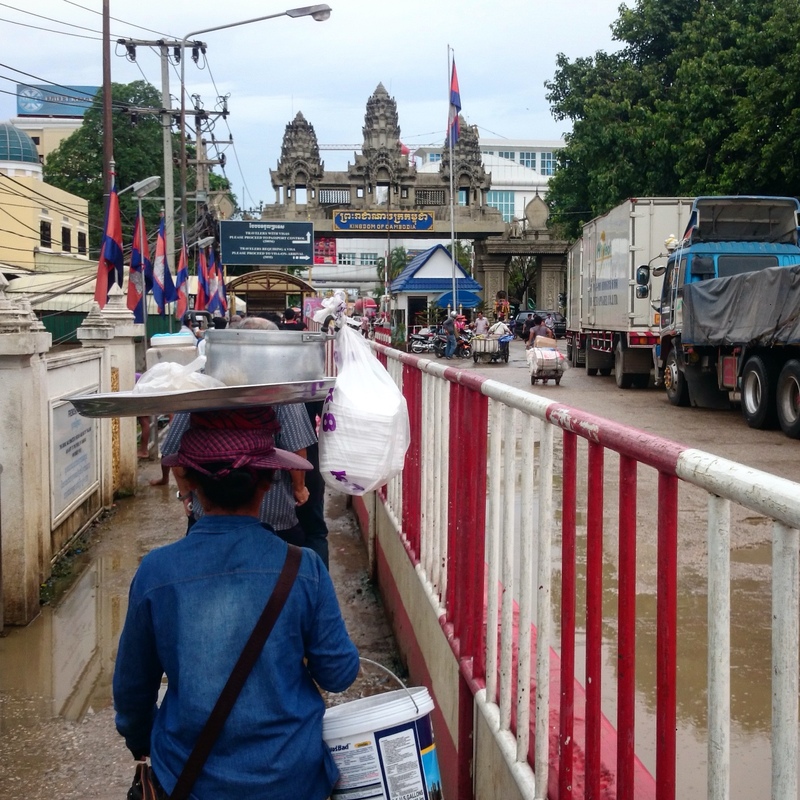 Onward from Aranyaprathet into Cambodia and then to a major city like Siem Reap takes many hours. 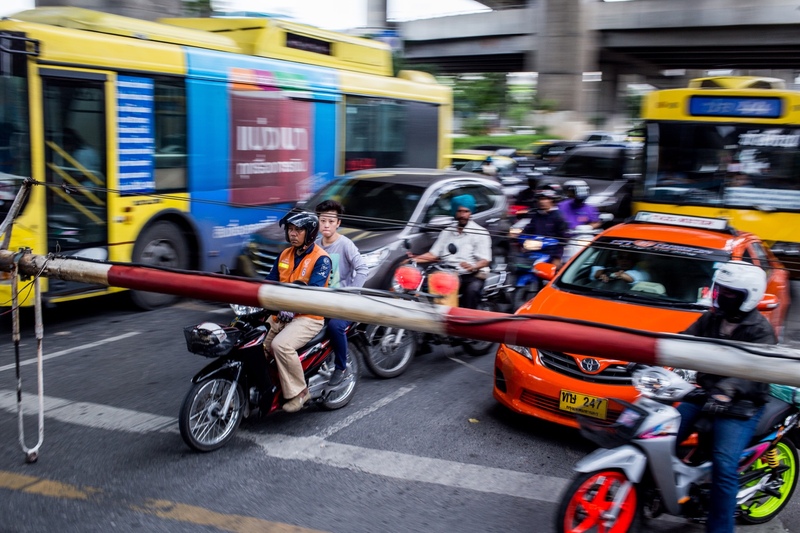 In the past two days I’ve spent six hours on a train, about 30 minutes in a tuktuk, two hours waiting in a bus station, and three hours on a bus. 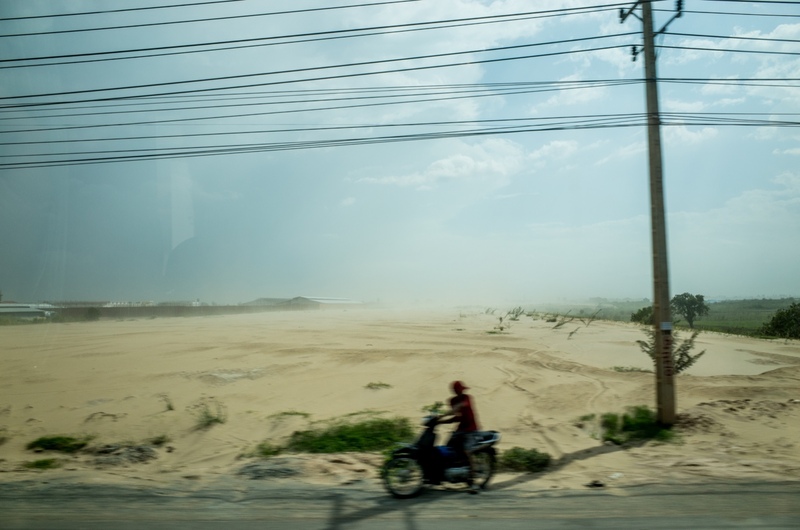 Tomorrow again is another six hour bus ride onward to Phnom Penh. As with driving across the United States it doesn’t make much economic sense but does make the size of the planet more tangible.